Fly your flag for Saratoga National! 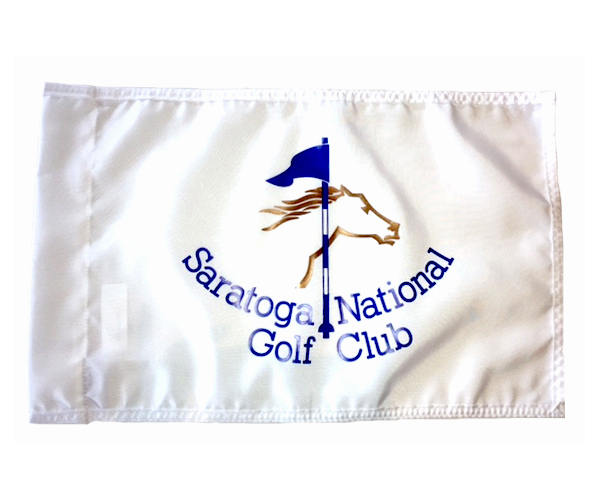 Our Saratoga National flag is constructed of 400 denier premium nylon and has a one half-inch one-piece border. Prestige Flag & Banner is located in the Mission Valley area of San Diego, California and designs and manufactures the highest quality flags in the country. Flag is 21" x 13".